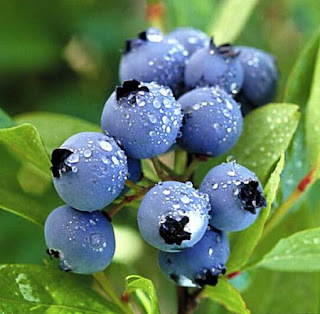 And this trip last summer to the blueberry farm to pick 4 gallons worth? And remember how they were divided up and frozen, individually, on cookie sheets, then divided up into pint size bags? Today's their day to shine. Now that it's late fall, and no fresh blueberries are to be found (excepting the $4.00/pint grocery store version), it's time to go to the freezer. I like my blueberries on bowls of Special K Red Berry. (Really I do - and Kellogg's has not offered me anything to say this, but if they want to ship me free cereal, I'm okay with it). 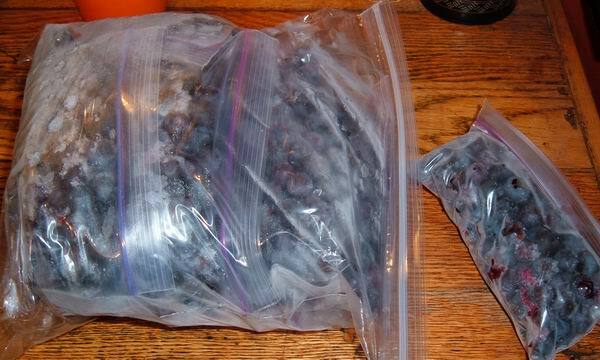 The frozen blueberries are packed in pint bags, and the bags are packed inside a gallon size bag.This way I can take out one pint bag at a time, for each bowl of cereal. I keep a wire strainer just for this purpose. 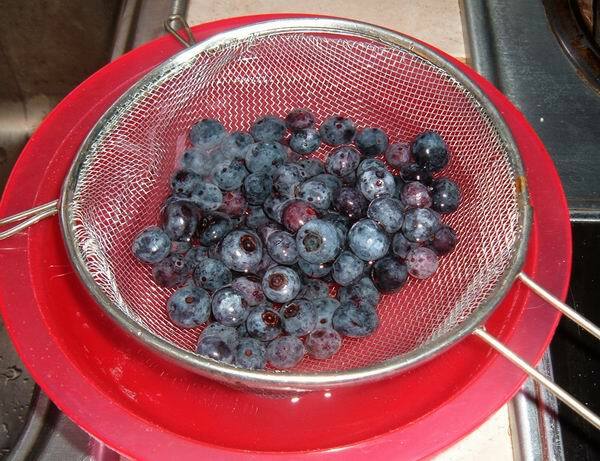 Pour the frozen bag of blueberries into the strainer, set the strainer into a bowl, and run cold water over the berries. They will thaw quickly (2 minutes at most). **Frozen blueberries are a great snack BTW -pop one in your mouth, and let it thaw gradually. After they thaw, I usually pour them out of the strainer onto a paper towel and pat them dry to remove the extra water. 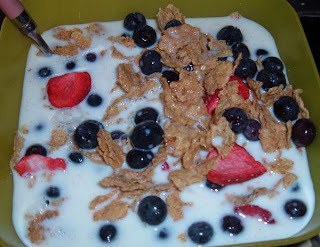 Then pour all the blueberries on your cereal. I like A LOT of blueberries. (This is why I picked 4 gallons last summer, and only had 3 gallons by the time I got home). Add milk, and savor the taste of summer. And, unlikely as it seems, blueberries are really, really good for you. 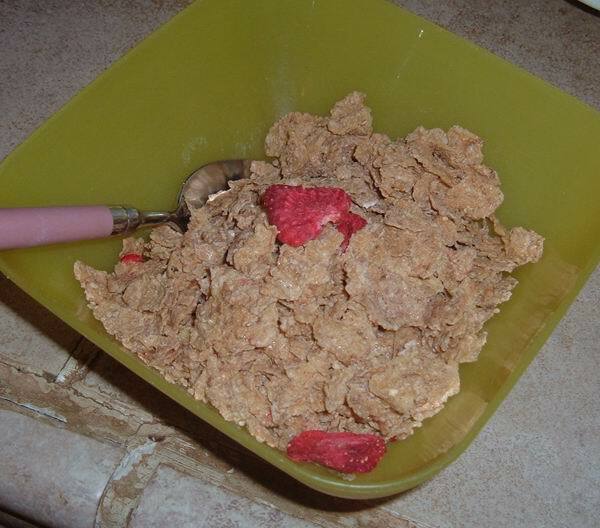 that cereal looks "cereasly" good. 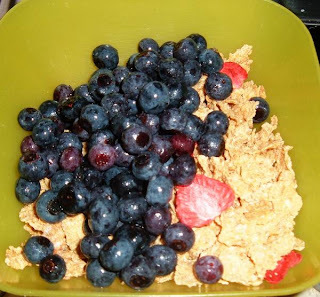 I love berries, any kind.